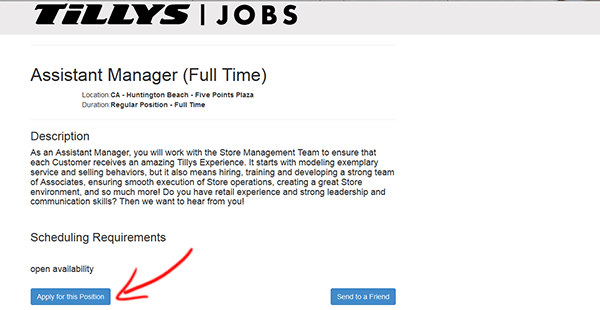 Download the official Tilly’s job application form via the links posted on this page. 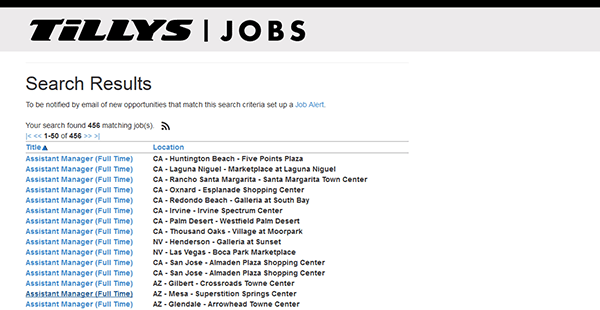 If you would rather search/apply for jobs online follow the steps in the guide posted below. Corporate, distribution center, and retail positions can be applied for online. About the Company: Tilly’s is an American chain of retail clothing stores that sells skate/surf/sports apparel, accessories, and equipment. The company has over 200 stores throughout the country, with the bulk of the locations being in California. 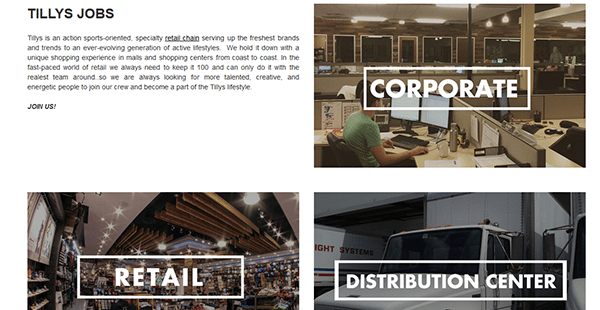 Tilly’s was founded in 1982 and is headquartered in Irvine, California. 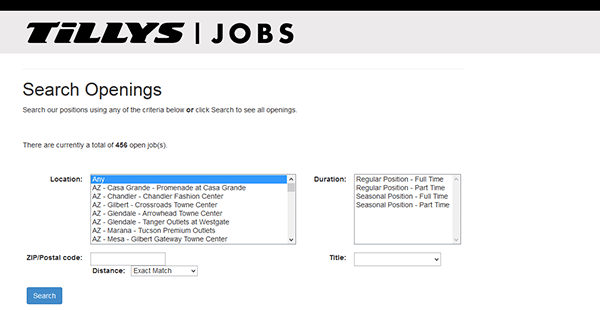 Step 2 – Scroll down the page and press the link of the job type that you’re interested in (e.g. retail, corporate, distribution, etc.). 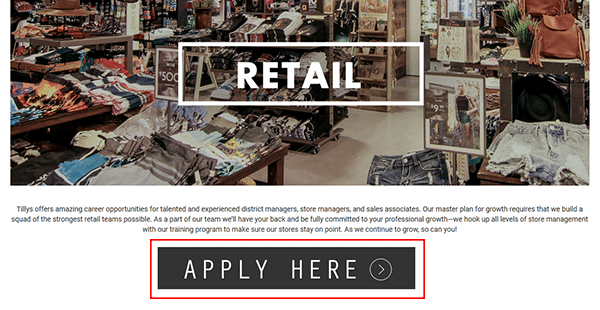 Note: This guide details the hiring process for retail positions. Step 3 – Click the button as outlined in red below. Step 5 – Click the link/title of the job that you want to start the online application process for. 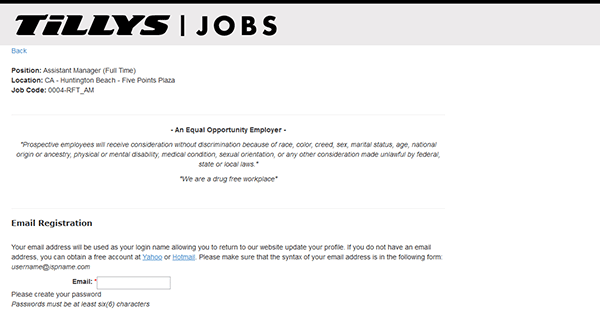 Step 6 – Read the job description and then press the button as outlined below. Step 1 – Download the .PDF document by pressing the button/link at the top of this page.